Power flushing your heating system is a process which cleans your radiators, pipework and boiler.The process removes sludge, rust and other debris form your central heating system. If left unflushed this rust and sludge can seriously damage your boiler and reduce the efficiency of your system. On blocked up systems a power flush is the only option to get it running again without re-piping the system. 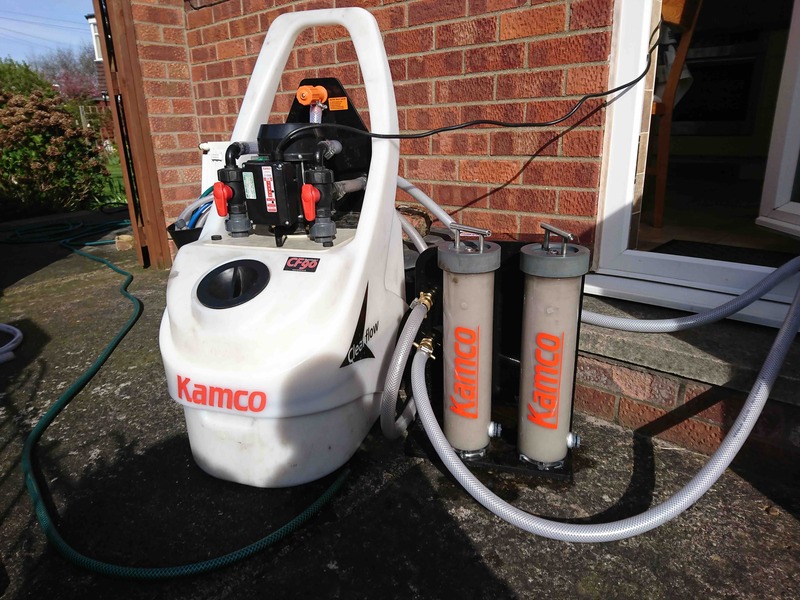 Our power flushing equipment connects into your central heating system without us needing to remove all your radiators to clean them. Our pumps and filters have some serious flow to them which aided with a cleansing chemical pushes all the dirt out your radiators, pipework and boiler. We have thermal imaging cameras to show up problem areas and blockages in radiators taking away the guess work, once we know what we are dealing with we connect our equipment, circulate chemicals around the system to loosen the rust and sludge and use a vibrating tool to agitate the debris out of the radiators.The sludge is collected in our large kamco filters. The radiators are flushed until water samples are clean, we take tds and ph readings once acceptable we circulate inhibitor at the end of the process to prevent any future build ups of rust and sludge. What are the tell tale signs you need a Power Flush? If you are planning on installing a new boiler it is recommended that a power flush is carried out to protect the new boiler from and sludge and rust, most new modern condensing boilers have really small passageways where a small amount of rust can seriously damage your new boiler very quickly indeed. power flushing is the most effective way to clean a heating system, with minimal disruption to the system. If you fail to keep on top of inhibitor levels your system could deteriorate rapidly, consider a power flush like servicing your car but for your heating system.